Rather than simply develop a new waterproof anorak, Assos has developed a new wet weather range to protect you from the worst precipitation you’re likely to encounter. As ever, the nomenclature is suitably showy: it’s dubbed ClimaX. We’ve seen the £348.99 rS.sturmPrinz jacket before in our winter clothing supplement (Nov 10 issue) and really liked its performance, but the five-piece series has plenty of other innovative products worthy of attention. To pair with the jacket, Assos developed shell trousers rather than tights or 3/4 with panels. The idea being the shorts or tights you already own will provide warmth and padding in normal conditions, but if your venturing out in prolonged torrential downpours, your legs need the same shell treatment as your upper body. 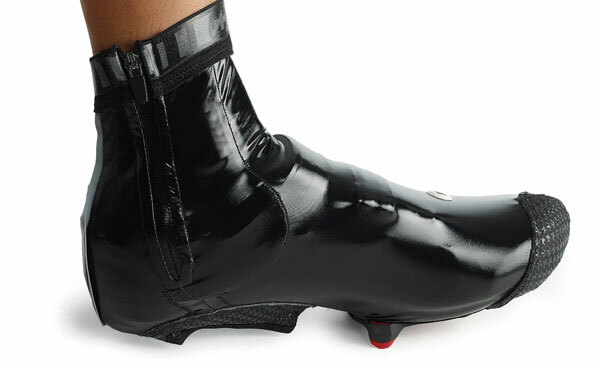 The 3/4 length, £199.99, hK.sturmNuss uses the same Triton V2, temperature adjusting, hydrophilic membrane fabric as the jacket in panels exposed to the most water – rump, thigh and calf front – with the remainder being Triton V1; a more breathable variant of the same fabric with slightly less weather resistance. Taped seams join V2 panels, while other seams remain simply stitched to aid breathability where less water will be forced in. 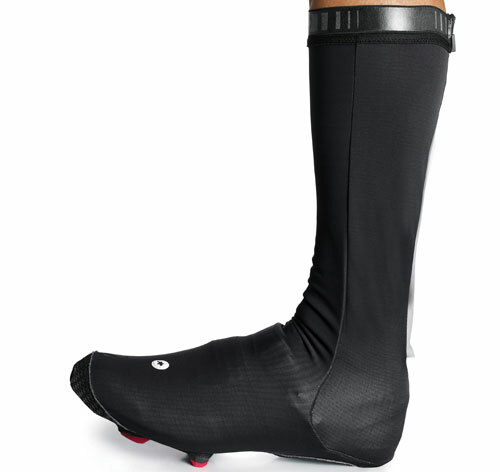 Leg grippers seen on knee warmers and waistbands from standard tights ensure these are not baggy over trousers. 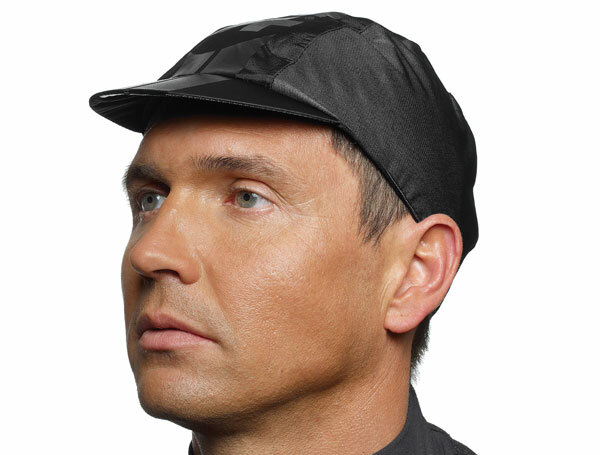 It’s an interesting idea, and one we’ll be checking out next time it’s ‘precipitating it down’.To complement these two major pieces, there’s a new £58.99, neoprene rainGlove with three piece construction; a £28.99 rainCap we’ve previewed before and a £89.99 rainBootie: Thin, PU coated with a super snug fit and toughened sole. For truly terrible days, you can combine the 3/4 length hK.sturmNuss with the calf length – £139.99 – afterSnowBootie, designed to protect the wearer from snowmelt: Those two should keep any rouge H2O from getting inside! 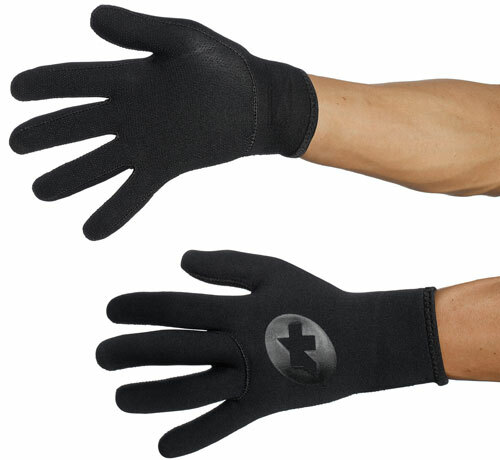 Mention Assos to many people and the cries of ‘ow match?’ always crop up. There is no denying that garments from the Swiss brand cost, but the product almost always works exceptionally well and more importantly lasts exceptionally well. To this end, each item has a long life cycle so it rarely looks out of date – even in its fourth winter of use. Another major upside is the length of time this lifespan gives Assos to develop its products. With years to work on a garment, you can be sure every last detail has been attended to. So, details have been sweated on, and the materials and workmanship are proven – it’s worth remembering two maxims: buy cheap – buy twice; and cost per wear is key.